How can Design Psychology be used to create authentic, fulfilling places for designers, clients and users? 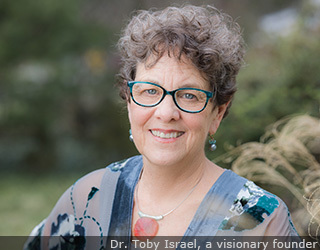 Dr. Israel introduces this new field, defined as “the practice of architecture, planning and interior design in which psychology is the principal design tool.” She gives examples of how Design Psychology is applied to real projects including residential, institutional and corporate projects. Participants complete hands-on exercises from the Design Psychology Toolbox that they can apply to the everyday practice of creating homes, communities and public places. If everyone loves the idea of high performance eduational facilities, why don’t we have them? In this hands-on lecture you will learn about the consequences of non-high performance educational facilities in contrast to the characteristics and benefits of ‘healthy’ and ‘smart’ educational facilities. Replacing myths with facts, case studies will demonstrate that high performance need not cost more. Leave with your own ‘action plan’ to gain support for and take steps toward creating high performance buildings in your region. In this hands-on workshop, participants learn how to use a variety of exercises from the “Design Psychology Toolbox” to explore their own and their client's intimate connection with place. By mastering exercises exploring past, present and future sense of place, participants learn how to successfully “design-in” social and psychological space-use requirements. Those taking this workshop gain a meaningful and rigorous programming method that they can use the next day in their own architecture, planning and interior design projects.